John Hyink, on the left, with his sisters, Sue and Laurie, are photographed reading a book--the title appears to be "Spaghetti Eddie"--in front of the stone fireplace in their home at 2025 Tremont Blvd. NW. 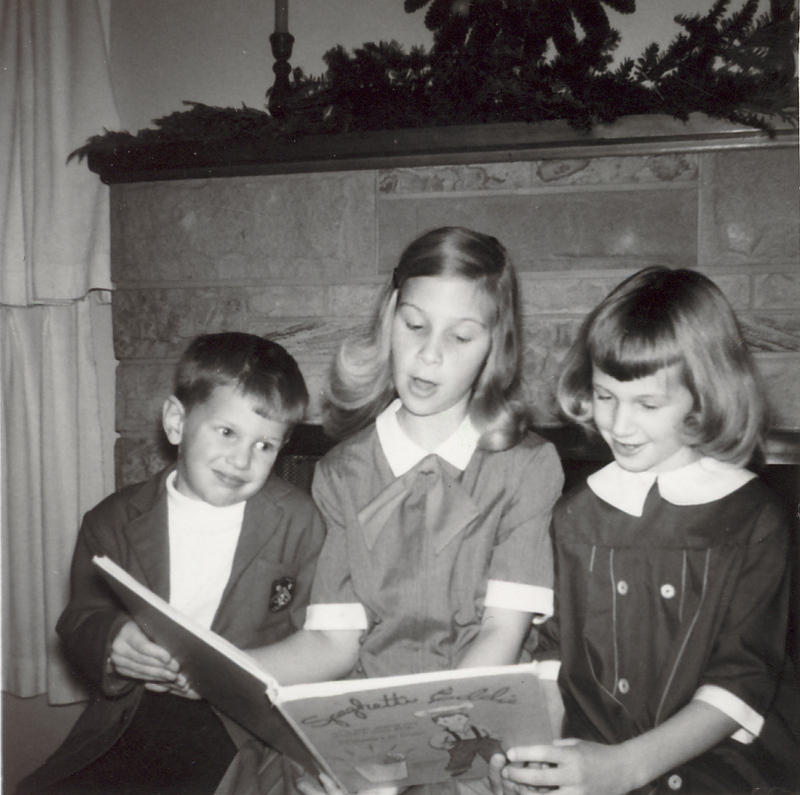 John wears a blazer with an emblem on the pocket, and the two girls wear dresses with white collars. Greens on the mantle indicate that it is the Christmas season.